The continuous development of antibiotic resistance by pathogens transformed the antibiotic crisis into one of the biggest threats to global health today (World Health Organization (WHO)). Everybody has been or will be confronted with this issue in one way or another at some point in their life. Worldwide implementation of bacteriophage therapy, a treatment that employs the natural enemies of bacteria, is impeded by the lack of common manufacturing procedures which meet international quality and safety standards. Recently, lawmakers in Belgium have authorized bacteriophage therapy as a surrogate to antibiotic treatment in Europe. While antibiotics target all bacteria in a patient’s body, bacteriophages are highly specific to their host bacteria. This means that certain bacteriophages can be used to infect and kill bacteria that affect the health of a patient at the site of the infection. 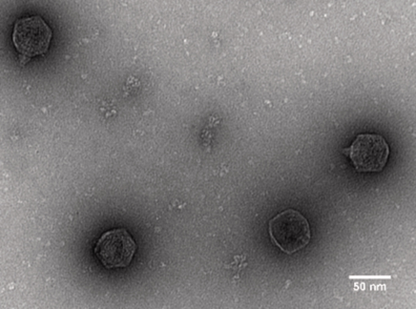 Once the harmful bacteria are eliminated, bacteriophages can no longer reproduce. Also, quite a few antibiotics act as bacteriostatics, which means they only slow the growth of bacteria. Eventually, the human immune system has to take over and eliminate the threat. Bacteriophages, however, are bacteriocidal, which means they actively aid the body to get rid of an infection. Furthermore, no cases of bacteriophages attacking human cells have been reported, which makes their application in humans very safe. And the best thing is: As the most abundant and most diverse species, bacteriophages are totally natural to the environment. In fact, bacteriophages are already used as additives to extend the shelf-life of certain types of food. We, the iGem Munich team, are manufacturing bacteriophages in a cell-free expression system that aims to meet the requirements of good manufacturing practice. This synthetic approach requires 2.5% of the production volume compared to traditional manufacturing and demands no special biosafety regulations to yield bacteriophages ready for therapy. Cell-free systems have long been a dream of the future and their application still faces several issues. Compared to microorganisms that are used for the production of compounds, cell-free systems have many advantages such as more efficiency and ease of use. For example, energy and resources are not allocated to metabolism, defence responses and other essential microbial processes. We are optimizing a cell-free transcription-translation system (TX-TL) for the expression of linear bacteriophage genomes in E. coli. By introducing a gene knockout of the exonuclease complex RecBCD, phage-DNA is no longer recognized as foreign and the encoded bacteriophage proteins are expressed. Furthermore, we ensure less immunogenic side-effects for a potential therapeutical application by knocking out Msb-B, a protein involved in the post-transcriptional modification of lipid A. 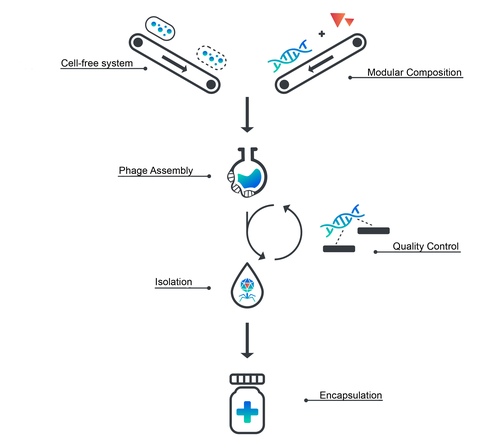 In addition, the process of manufacturing bacteriophages from cell extract is streamlined, scaled and tightly controlled by a quality control system we designed ourselves. For every preparation, we ensure optimal protein concentration (30mg/ml) by bicinchoninic acid assay (BCA assay). To be able to assess both transcription and translation efficiency of the cell-free system, we designed a quality-control-plasmid. It carries the fluorescence marker Mturq2 that is linked to a malachite green RNA-aptamer. The combination of all three parameters enables the optimization of expression levels to assemble bacteriophages at a titer of up to 10^11, which exceeds traditional phage cocktails by an order of two magnitudes. By employing state of the art bioinformatics analysis using Oxford Nano-Pore sequencing, we also created a tool to evaluate the DNA contamination of a sample. Due to the identification of a phage on a genomic level while assessing the level of contamination, we are able to guarantee safety and quality of each therapeutic phage preparation. Lastly, we are also working on cell extract lyophilization to improve shelf-life and shipping at room-temperature. This enables on-site phage production in countries where treatment is needed but laboratory facilities are rare. Establishing an ex vivo platform for bacteriophage assembly gives rise to yet another advantage. For the first time, bacteriophage genomes can be engineered using simple in vitro cloning techniques. As a proof of concept, we aim to engineer bacteriophages to kill bacteria without causing lysis. By preventing the sudden release of bacterial components, immune responses such as a septic shock can be avoided, which would dramatically reduce local and systemic stress in patients. Our team combines everyone's individual strength, their interests and experience perfectly to apply them to the diversity of our agenda. In October, we successfully presented our project at iGEM (international Genetically Engineered Machine competition), the world’s biggest international competition on synthetic biology, where more than 340 teams from 44 countries tackled big challenges of our time by creating, improving and applying genetically engineered systems. Here, we won the 1st Runner Up place in the category “Overgrad” in the finals. As an international team we communicate in the main scientific language - English. The diversity of our team extends beyond variety in language and culture. One example is everyone's field of study. The scientific backgrounds of most members are Biology, Biochemistry and Molecular Biotechnology but there are also students of Bioinformatics, Electrical Engineering, Human Factors Engineering and Nutrition and Biomedicine. The physics background of our supervisors allows them to provide a different perspective that is useful to achieve our ambitious goals. With more than half of the team members pursuing their master’s degree, a great learning environment is created. Bachelor students learn from more advanced members and benefit from their pool of knowledge, whereas the younger students provide new insights and a fresh perspective. 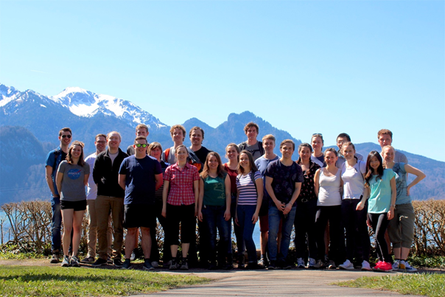 Do you want to know more about iGEM Munich‘s project? Then visit their website for more information at 2018.igem.org/Team:Munich. The team is always happy to answer questions via e-mail. You can follow them on Facebook and Twitter. Written by Dominic Schwarz and Dr Andreas Ebertz.